In 2010, we created Weds Night Fights which ignited weekly competition and produced some of the strongest fighting game players during the Street Fighter 4 era. Today, the game is Street Fighter V which is bringing massive amounts of competitors to our scene from many more regions. Level Up is proud to announce our next installment to supplement the competitive demand, introducing Vanguard. 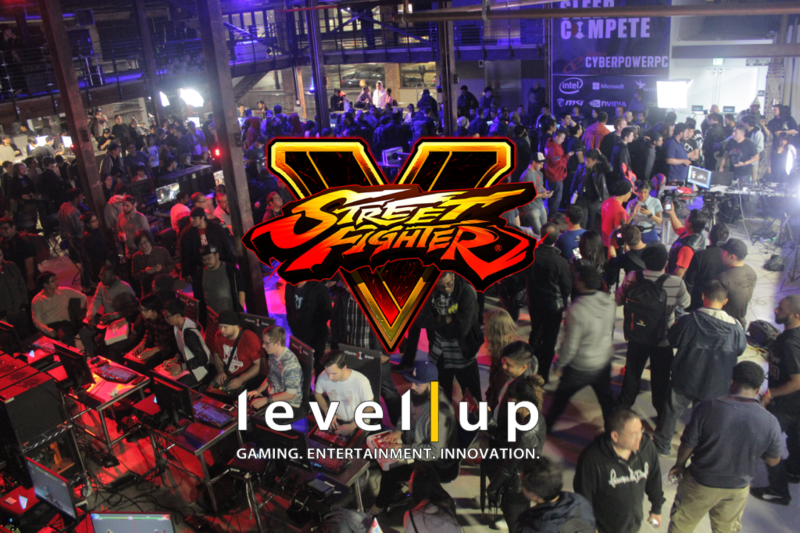 Vanguard is our first monthly tournament series featuring Street Fighter V at the beautiful eSports Arena. Competition has spread like wildfire in the surrounding regions and they are hungry to make their mark in the scene. Players that cannot normally attend our weekly events now have a shot to take on our local SoCal Street Fighter talent at Vanguard. The first Vanguard event will take place on June 12 and streamed on our Twitch channel http://twitch.tv/leveluplive for everyone to enjoy. Stay tuned for more exciting announcements about Vanguard in the coming days! Please note, online registration will RSVP your attendance only for seeding purposes. Tournament fees will be handled onsite!